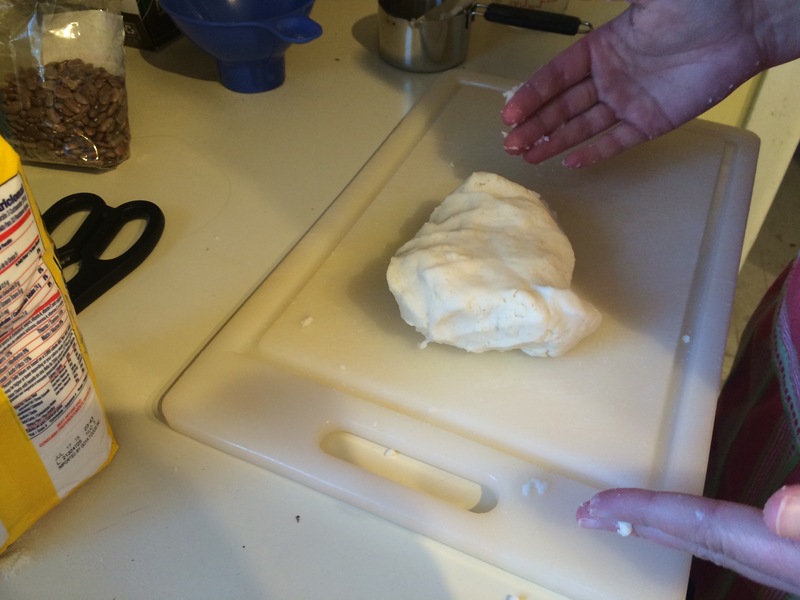 This blog was about breaking a culinary cycle – curry, tacos, pizza. 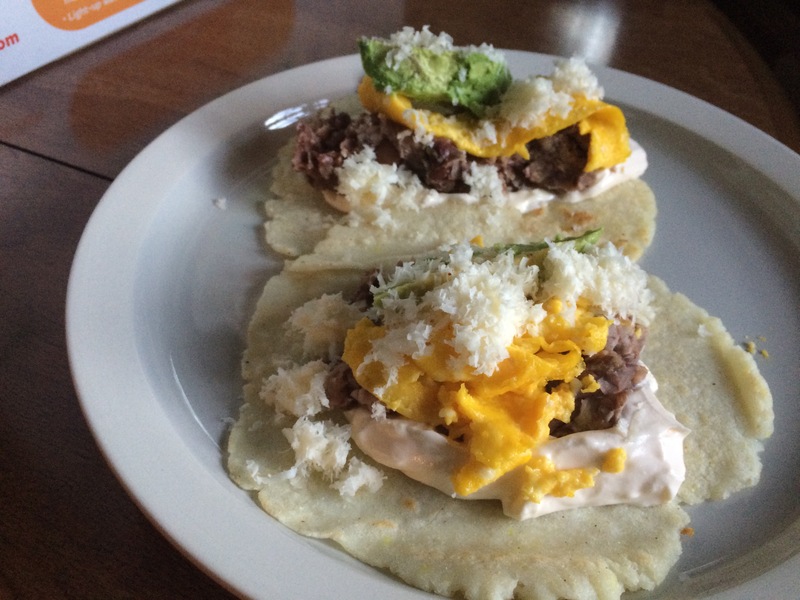 But what if doing this blog meant finding a better way to do tacos? That’s the glory of baleadas, a taco-like dish from Honduras and only the second dish from the mainland American continent thus far. The recipe is simple – eggs, beans, cream and cheese on a tortilla. But I spiced it up, finding crema hondureña at a Latino grocery, hand-forming my tortillas, using excellent Don Froylans cotija from right here in Oregon. 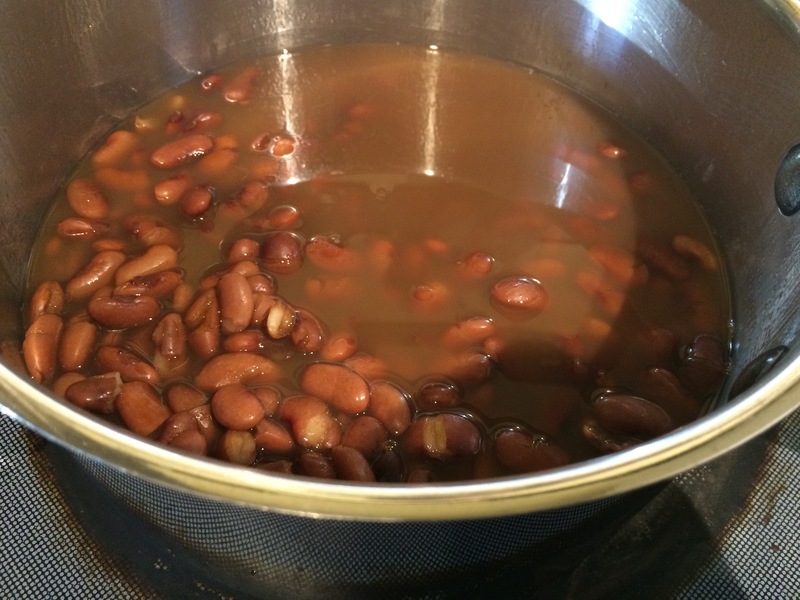 The beans were, yet again, from Rancho Gordo – tasty, meaty, delicious. Even better – Emily made this meal, so I didn’t have to! Prepare your tortillas: Mix masa with water, roll out tortillas and cook on a hot flat skillet. Serve ingredients on the tortillas. Great ingredients make great food. Local cheese, Rancho Gordo beans and farmers market eggs made for one tasty meal.